Does Milk of Magnesia Treat Acne? Beauty bloggers and internet makeup gurus alike have been touting the benefits of milk of magnesia for acne. But what is milk of magnesia? Does it really work to treat acne? Before you go out and by a bottle, let's first take a look at the research. What Is Milk of Magnesia Anyway? Milk of magnesia is an over-the-counter medication for constipation. Yes, it's a laxative. It's used to relieve gas and indigestion, too. The active ingredient in milk of magnesia is magnesium hydroxide. It also contains water and sodium hypochlorite. Can Milk of Magnesia Treat Acne? In a word, no. It doesn’t clear acne. In fact, the research shows it doesn't do much of anything for the skin. The idea that milk of magnesia clears acne probably comes from a letter that was published in the Archives of Dermatology back in the 1970's. The author of the letter said he had been getting good results with his acne patients by prescribing topical milk of magnesia along with 250 mg of oral tetracycline. Even though this letter is very intriguing, it's just one dermatologist’s experience. It isn’t a formal study of any kind. It is possible that the antibiotics alone were causing the improvement of acne and not the milk of magnesia. ​Oral antibiotics have been used as acne treatment staples for decades. There have been no formal studies done on the milk of magnesia and its effects on acne. Any source that claims milk of magnesia has been proven to clear acne just isn't accurate. 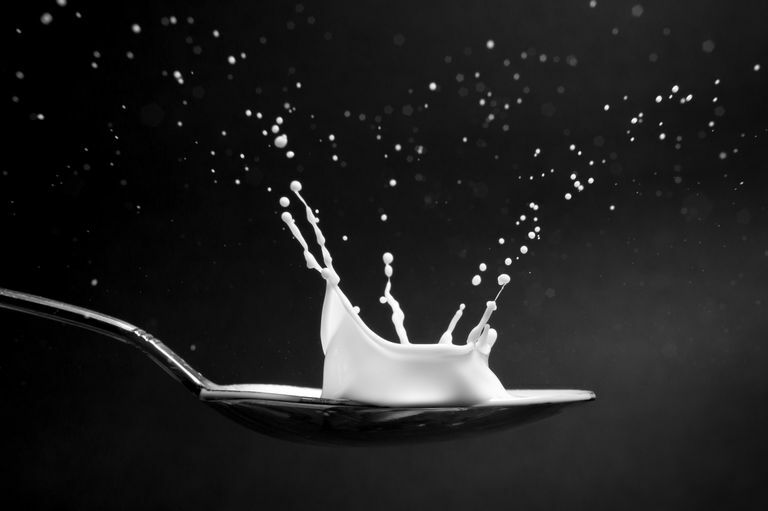 Can Milk of Magnesia Reduce Oily Skin? One (rather old) study, published back in the '80s, shows that magnesium hydroxide is a darn good degreaser. So, hypothetically, it could break down the oil on the skin's surface leaving your skin looking more matte. Milk of magnesia doesn’t reduce sebum production, though. Meaning, it won't make your oil glands produce less oil. It just removes oil on skin's surface. But since acne isn’t caused by oil on the surface of the skin, that alone won't be enough to clear up acne. Acne is actually caused by a host of different factors. Are you going to harm your skin if you use a milk of magnesia mask? Probably not (although for some people it can cause contact dermatitis). It just isn't a great acne treatment. If it was, dermatologist's would be personally handing out bottles of the stuff. For treating acne, there are plenty of over-the-counter treatments available that will give you better results than using milk of magnesia. Look for an acne treatment that contains either benzoyl peroxide or salicylic acid. These have a long and effective track record for clearing minor breakouts and blemishes. Prescription acne medications are a better choice for more serious or stubborn cases of acne. So, if you're not getting results from OTC products, try seeing your doctor for a more powerful prescription acne treatment. For reducing oily-shine, an astringent is a simple but effective choice. Foaming cleansers also do a good job of removing excess oil. If a facial mask is more your thing, look for products that contain clay; clay is good at removing surface oil. If you are a dedicated DIYer, you could use milk of magnesia as a facial mask. Just do check to make certain it's not going to irritate your skin by only using a tiny amount on a small area of skin first. If you notice any redness, irritation, itching, or burning, don't use this on your skin. While some claim milk of magnesia makes a good oil-free makeup primer, leaving milk of magnesia on your face all day, under makeup, probably isn't the best idea. There are products that are meant specifically for that purpose, and since they’re designed for the delicate skin of your face they’re much less likely to cause irritation. So, milk of magnesia isn't the miracle acne cure that some claim it to be. Don't be disappointed, be glad that you're not going to waste time waiting for an acne treatment remedy that's not going to work. Instead, you can start on a proven acne medication and start seeing improvement sooner. Bayer HealthCare Consumer Care. (12 Sep 2014.) Phillips’ Milk of Magnesia – Original. Sigal R. "Letter: Milk of magnesia treatment for acne." Archives of Dermatology. 1975 Jan; 111(1):132. Stewart ME, Downing DT. "Separation of Wax Esters from Steryl Esters by Chromatography on Magnesium Hydroxide." Lipids. 1981 May;16(5):355-9.